Prayer warriors are people who are known for regularly interceding on behalf of others before God. To intercede means to come between, so prayer warriors are, in effect, coming between God and the trouble in another person's life. Prayer warriors are like defense attorneys, appealing to the Higher Court on behalf of their defendants. We're all guilty before God, but God is merciful. Prayer warriors recognize that quality of God's personality and call on Him for intervention. 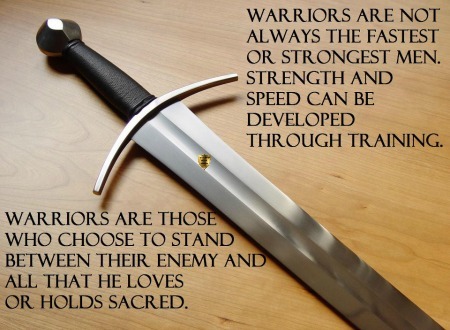 We can learn a lot from the Prayer Warriors that are in the scriptures and spoke of by GOD. Study these scriptures and ask the Holy Spirit to open the eyes and ears of your heart to receive the knowledge and wisdom GOD has for you as a Prayer Warrior. Jehoshaphat was King of Judah when he received word that his land was being invaded. In 2 Chronicles 20:1-24, we read how the king prayed fervently to the Lord: "O LORD, God of our fathers, are you not the God who is in heaven? You rule over all the kingdoms of the nations. Power and might are in your hand, and no one can withstand you. O our God, did you not drive out the inhabitants of this land before your people Israel and give it forever to the descendants of Abraham your friend?" (verses 6-8). Jehoshaphat acknowledged God's power and His help in previous circumstance, he was aware of his inability and lack of knowledge, and he proclaimed his trust in God! God answered his cry for help in a miraculous way! 2 Chronicles 20:15 reports God's message: "…Do not be afraid or discouraged because of this vast army. 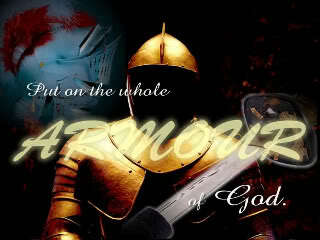 For the battle is not yours, but God's." Early in the morning, Jehoshaphat gathered his army and urged them to have faith in God. When they arrived at the battlefield, they found that the Lord had already won the victory (2 Chronicles 20:20-30)! Shadrach, Mesach, and Abednego were three men who refused to bow before anyone or anything but God! When they refused King Nebuchadnezzer's order to bow down, they told the king, "If we are thrown into the blazing furnace, the God we serve is able to save us from it, and he will rescue us from your hand, O king. But even if he does not, we want you to know, O king, that we will not serve your gods or worship the image of gold you have set up" (Daniel 3:17-18). Because of their disobedience, the king threw them into a blazing furnace. The king immediately saw that they were not harmed. Daniel 3:26-27 says, "So Shadrach, Meshach and Abednego came out of the fire, and the satraps, prefects, governors and royal advisers crowded around them. They saw that the fire had not harmed their bodies, nor was a hair of their heads singed; their robes were not scorched, and there was no smell of fire on them." Paul was perhaps the greatest example of a prayer warrior in the New Testament. He repeatedly prayed for others, especially the individual churches with whom he was working. In Ephesians 3:14-21, while Paul was in prison, he prays for the believers in the church at Ephesus: "For this reason I kneel before the Father, from whom his whole family in heaven and on earth derives its name. I pray that out of his glorious riches he may strengthen you with power through his Spirit in your inner being, so that Christ may dwell in your hearts through faith. And I pray that you, being rooted and established in love, may have power, together with all the saints, to grasp how wide and long and high and deep is the love of Christ, and to know this love that surpasses knowledge-that you may be filled to the measure of all the fullness of God. Now to him who is able to do immeasurably more than all we ask or imagine, according to his power that is at work within us, to him be glory in the church and in Christ Jesus throughout all generations, for ever and ever! Amen." May we be more like Epaphras, who is spoke of in Colossians 4:12, Epaphras, who is one of you and a servant of Christ Jesus, sends greetings. He is always wrestling in prayer for you, that you may stand firm in all the will of God, mature and fully assured. You have been given this ministry of intercession and through prayer you can be used by God to touch lives of people - those you have never met and those who are very close to you. 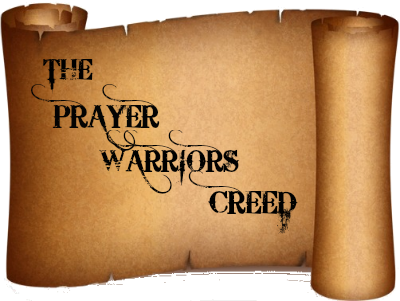 Are you a prayer warrior?